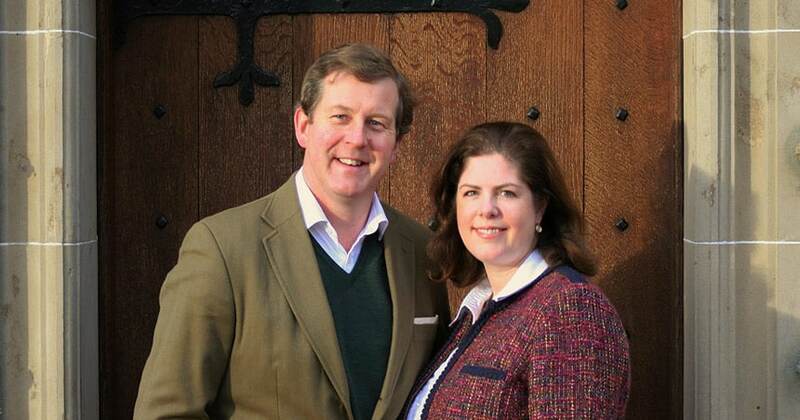 Guy Macpherson-Grant and his wife Victoria today continue a tradition of family stewardship here at Ballindalloch Castle that dates back to the 15th Century. Throughout the turbulent 17th Century the lairdship of Ballindalloch Castle remained the preserve of the Clan Grant; the title passing from father to son, brother to brother, uncle to nephew at various times over six generations. Then in 1711, John Roy Grant passed the castle and its estate to his cousin Colonel William Grant of Rothiemurchus: soon to be amongst the first commanders of the famous Am Freiceadan Dubh (or Black Watch). William’s daughter married into the Macphersons of Invereshie, and the current laird, Guy Macpherson-Grant, can trace his own ancestry back to this union of two of the foremost families of post-Reformation Scotland. Traditionally, the lairds of Ballindalloch have been, at heart, men of the Highlands, concerned first and foremost with being good custodians of their estate. One notable exception was General James Grant, who inherited Ballindalloch Castle in 1770. Born in 1720, the 11th Laird participated in the capture of Havana from the Spanish and St Lucia from the French, before becoming Governor of East Florida in 1763. 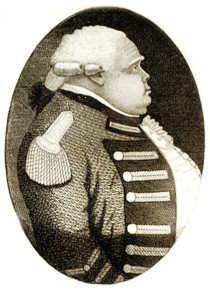 Following his inheritance, General James went on to fight in the American Wars of Independence and, upon his return, became Governor of Stirling Castle. Though something of a stranger to the estate, the General commissioned two new wings for Ballindalloch Castle and insisted upon being buried within the grounds, in sight of the River Spey. Upon General James Grant’s death in 1806 the title passed to his nephew, George Macpherson of Invereshie. In 1838 George was created a baronet, taking the title ‘Sir George Macpherson-Grant of Ballindalloch’, thus finally uniting the names of two of Speyside’s oldest clans. The 1st Baronet was a devoted farmer and his stewardship brought about tremendous improvements in the efficiency of the Estate. In similar vein, the 2nd Baronet, Sir John Macpherson-Grant, despite his sadly short-lived tenure, commissioned the extensive modernisation of Ballindalloch Castle carried out by Moray architect Thomas Mackenzie around 1850. The 3rd Baronet, Sir George Macpherson-Grant, added a further wing in 1878, but is better known for establishing, in 1860, the Ballindalloch herd of Aberdeen Angus cattle: now the oldest herd in the world. It fell upon the 5th Baronet, Sir George Macpherson-Grant, to guide Ballindalloch Castle and Estate through the tumultuous era of two world wars. Of the many changes wrought by the post-war world, one was the end of male primogeniture. So when the 6th (and last) Baronet, Sir Ewan Macpherson-Grant, passed on the tenure of Ballindalloch Castle in 1978, he did so to his daughter. 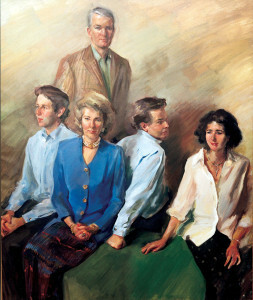 Clare Macpherson-Grant had journeyed ‘o’er the border’ to London in the 1960s and married Oliver Russell, second son of Admiral The Honourable Sir Guy and Lady Russell. From 1978 for over thirty years, Clare and her husband Oliver devoted themselves to diversifying the activities of this ancient Highland estate, ensuring that Ballindalloch Castle continues to play an important role in the 21st Century, as both a working estate and a family home. In 2002 Clare Russell was given the great honour by Her Majesty The Queen to be Lord Lieutenant of Banffshire, the Queen’s representative in Banffshire. You can find more about Mrs Russell’s work as Lord Lieutenant here. Their son, Guy Macpherson-Grant, and his wife Victoria moved up to live in the Castle in August 2014 and now work to make sure that the management of the Estate is carried on with the same dedication and attention to detail.